Editor-in-Chief, Dr. Michael Wallace highlights this article from the December issue, “Endoscopic gallbladder drainage compared with percutaneous drainage” by Prashant Kedia, MD, Reem Z. Sharaiha, MD, MSc, Nikhil A. Kumta, MD, et al. Gallbladder disease is a very common condition throughout the world. It is currently managed by surgery and occasionally with percutaneous drainage in acute severe cholecystitis. New methods of endoscopic drainage, particularly lumen apposing metal stents (LAMSs), have the potential to transform this approach, particularly for the subset of patients that are poor candidates for surgery. LAMSs have the potential to be a disruptive technology in the field of internal drainage and creation of novel anastamoses. 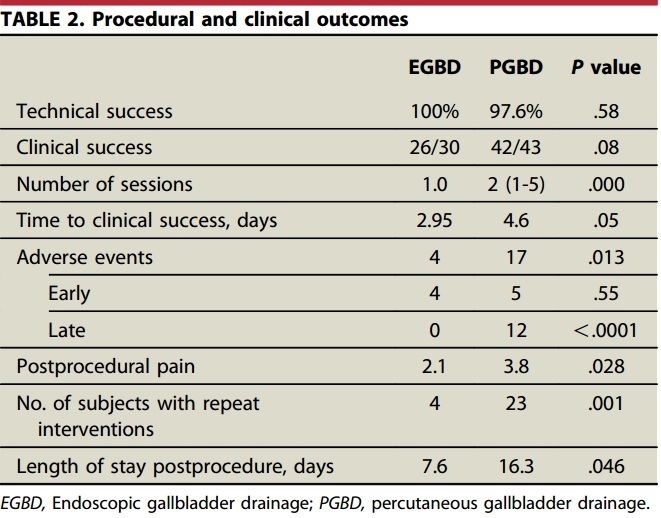 Endoscopic gallbladder drainage appears to be feasible and better tolerated that percutaneous drainage although confirmatory, randomized controlled trials are needed. Careful patient selection is important give the potential to complicate subsequent surgical removal in operative candidates. Read the abstract for this article here.